Broadcast here June 28th, 11 to noon Eastern then archived. For less than a dollar a week you can subscribe…and listen to this show RIGHT NOW! Today’s show features two notable American grassroots activists. 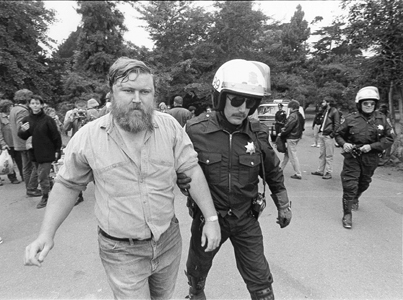 First half hour: Keith McHenry is the founder of Food Not Bombs, one of the all-time greatest activist efforts ever. The idea is beautifully simple: Give away free food in public places to hungry people, while educating folks about the misdirection of resources toward the military-industrial complex. This concept is so dangerous that Keith has been arrested over 100 times – and sometimes severely beaten and badly injured – simply for giving away food! In this interview we discuss the escalating governmental harassment of Food Not Bombs; the likelihood of another 2008 (1929?) style economic implosion; the possibility that the Trump regime, and the neocons behind it, will orchestrate another huge 9/11 style false flag to misdirect people’s anger towards a convenient scapegoat; Keith’s grandfather John Vanderpoole Phelan’s role in the firebombing of Tokyo and the nuclear bombings of Hiroshima and Nagasaki (and his support of FDR’s Pearl Harbor deception); and more. 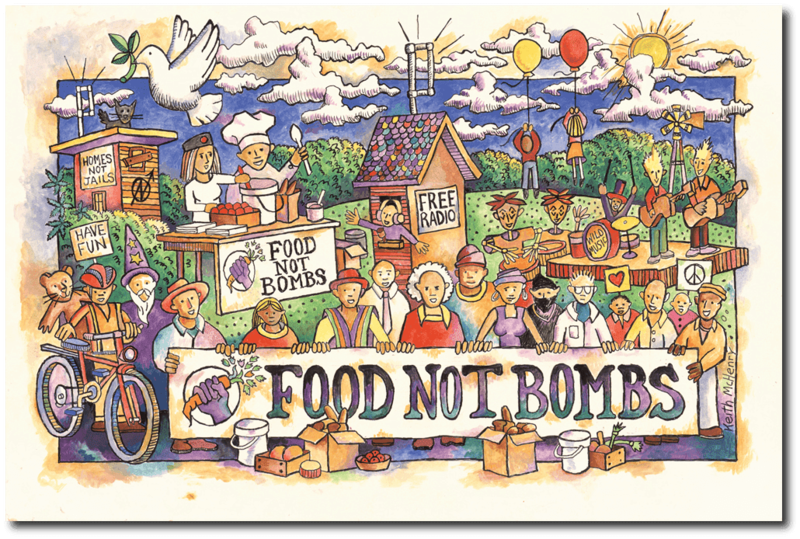 Kevin urges listeners to support Food Not Bombs, and mentions his plan to organize a Muslim spin-off. Second half-hour: Historian James Hufferd, Ph.D. runs Iowa 9/11 truth and 911grassroots.org, which gets updated with 20+ stories per day. 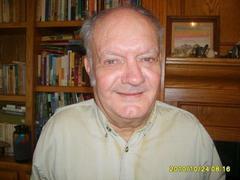 In this interview we discuss his list of 12 disappointing habits of mind that he increasingly sees in today’s world. We also exchange slightly different views about Trump. Will National Post print my response to “Holocaust denier” libel? UPDATE: ATTACKED BY JDL TERRORISTS? I thought it went well, as far as it went. Thanks! I could have used more time, though, to explain my motivating idea that those "habits of mind" set the stage for 9/11 as a successful act on the part of the perps and our unique vulnerability to that and all the awful stuff that has flowed from it, and will continue to as long as such attitudes continue to prevail. (For instance, Russians, among others, can't understand how Americans let themselves be taken for a ride time after time. They think we're just stupid.) I think those 12 points, and however many others, really explain our particular weakness in that regard, our fatal flaw. 1) Deadly Determination – In the case of high command of the U.S. military, as in the those in the pharmaceutical and chemical industries, etc., profitability and determination to attain predetermined set goals override any cost in human lives or safety, which no longer appear as a consideration. A parallel in business and politics is: if you need to cheat to win, don’t think twice. 2) Disappearance of Empathy – The points of view or vital or mandatory considerations of others are utterly disregarded and overridden by superior power. 3) Disappearance of Justice, Let Alone Equal Justice – Legal consideration or due notice of grievances, rights, or existing evidence have become largely optional and arbitrary, making a mockery of justice. 4) Self-Centeredness and Narcissism – The focus of advertising and what passes for entertainment are largely on aggrandizement of self-identification with star-power. 5) Closed-Mindedness to Disagreement – Contrary thinking or points of view are not tolerated and not respected. 6) Criminalization of Truth – Those with inside knowledge and whistleblowers are treated as meddlesome troublemakers. 7) Pervasive Larceny of Freedom – Universally recognized human rights are treated by the state as cancelable writs of privilege at best. 8) Disrespect For Others and Self – Although a false respect for human variation is honored as a politically-correctness value, in practice, individual deviants are suspected, demonized, and their tagging encouraged. 9) Disappearance of Moral Conviction and Courage – Even when violations of human dignity are recognized, few will bear the price of getting personally involved effectively on others’ behalf. 10) Betrayal of Accountability – Lies are now expected from miscreants or negligent actors caught in implicating behavior. 11) Replication in Place of Thought – Ready-made conclusions and judgments provided by media or peers are adopted to avoid ostracism. 12) A Social Smugness – Refusal to consider the plight or conditions of different strata or segments of humanity identified by distant location.